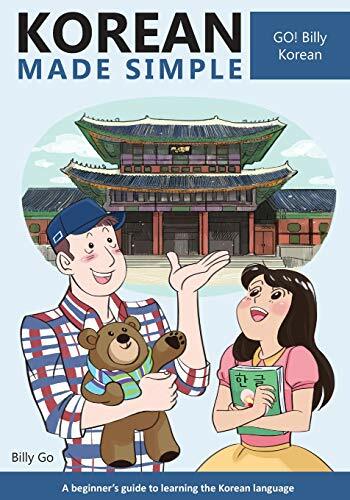 Den Artikel Korean Made Simple: A beginner's guide to learning the Korean language von finden Sie zum Preis von 19,53 EUR im Shop amazon. Korean Made Simple is a book for anyone who wishes to begin learning the Korean language. No matter your age, you can learn how to read, write, speak and understand Korean. Learn the Korean writing system, Korean culture, and even history. Learn over 1,000 vocabulary words and phrases through 20 in-depth and fun lessons, filled with plenty of examples. Additionally, practice sections with answer keys are built into every chapter. This book also contains additional advanced level notes for more skilled Korean speakers looking for a review of basic grammar and concepts, including a full appendix covering sound change rules. Start your exciting journey into the Korean language today. Let's learn Korean!